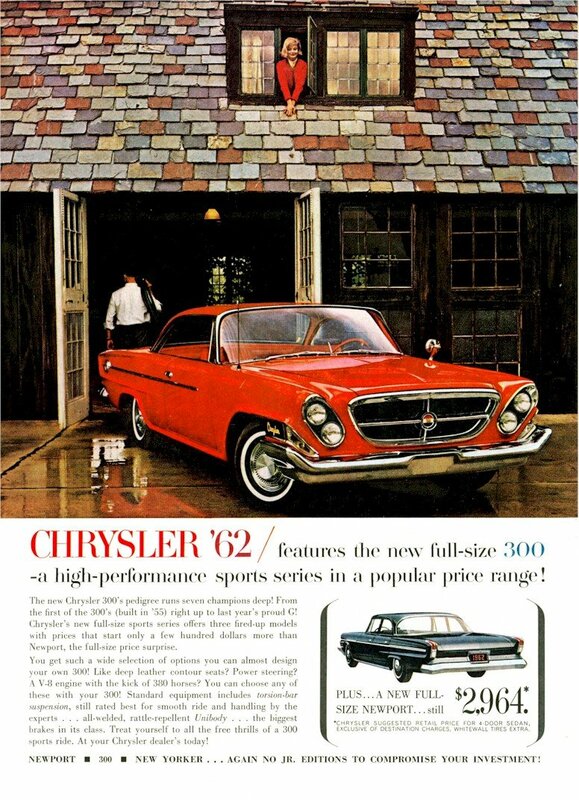 Nineteen sixty-two saw not only the continued production of the "Letter Series" with the 300H, in two door hardtop and convertible styles, but also the introduction of an entry level three hundred model produced in two door hard top, convertible and, new for '62, both four-door hard top and a four door sedan body styles. This marked the beginning of the end to the exclusive 300 "Letter Series" cars. Chrysler? 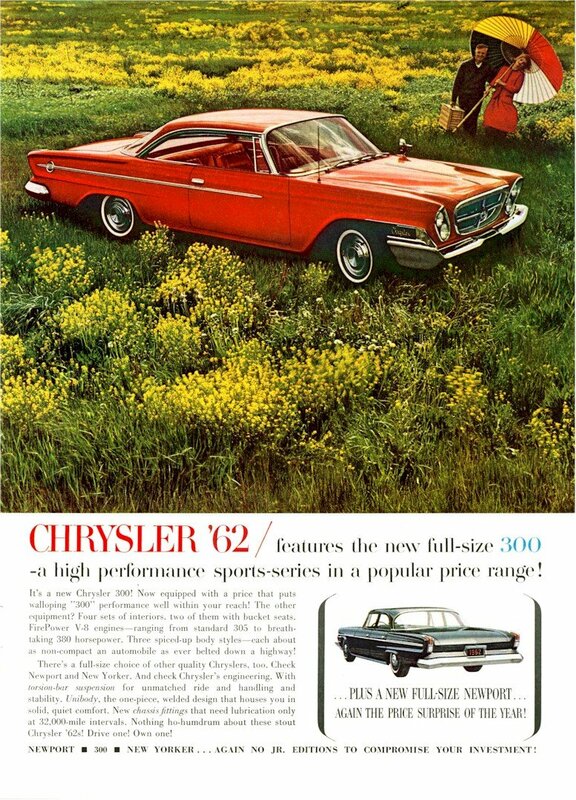 introduced a new line of non-letter Sport 300s which used a weaker 383 cid V8 engine with a two-barrel carburetor as standard and shared their 122 inch wheel base with Chrysler's low-priced Newport line. The 300 H, was still offered but it too was based on the same smaller platform which held down production costs. The shorter wheelbase reduced weight by 300 pounds which actually increased performance. Curb weight fell to 4.050 lbs for the hardtop and 4,105 pounds for the convertible. Both 413 cid V8s were boosted by 5 bhp, to 380 bhp and 405 bhp respectively.